Congratulations to Meghann G who is the winner of the Laura Cox Designs Give Away! If today wasn't your lucky day, don't fret! 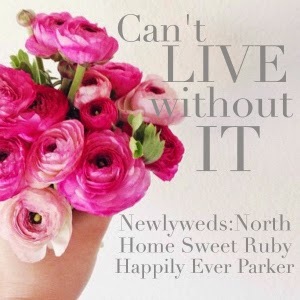 You can still use the coupon code NEWLYWEDSNORTH to save 15% on everything in Laura's shop! Seriously, if you haven't hopped over to Etsy and taken a peek at her Spring pieces then you must ASAP (the code expires on Friday!). I want to take a minute to thank ya'll for supporting my collaborations with other business, blogs and small shops. As the blog grows, I am being presented with more and more opportunities to work with others but my loyalties will always lie with my readers. A completely transparent review and recommendation is the only type of review that I am interested in publishing. If you ever have any questions about a product that I blog about, please feel free to email me! And speaking of collabs and working with other bloggers, don't forget that I am teaming up with Cait and Laura to officially launch The Can't Live Without It Link Up on Friday! We hope that you'll grab the Link Up image and blog about one thing that you simply cannot live without. It's the perfect way to kick off your weekend! So thankful and excited! Can't wait to rock my second Laura Cox Designs necklace! I'm going to try to link up on Friday! New blogger here -- Do I just post the image at the bottom of my post and that's it? *SMOOCH* Can't wait for Friday! Now I just have to narrow down all the bazillion things I have convinced myself I can't live without!